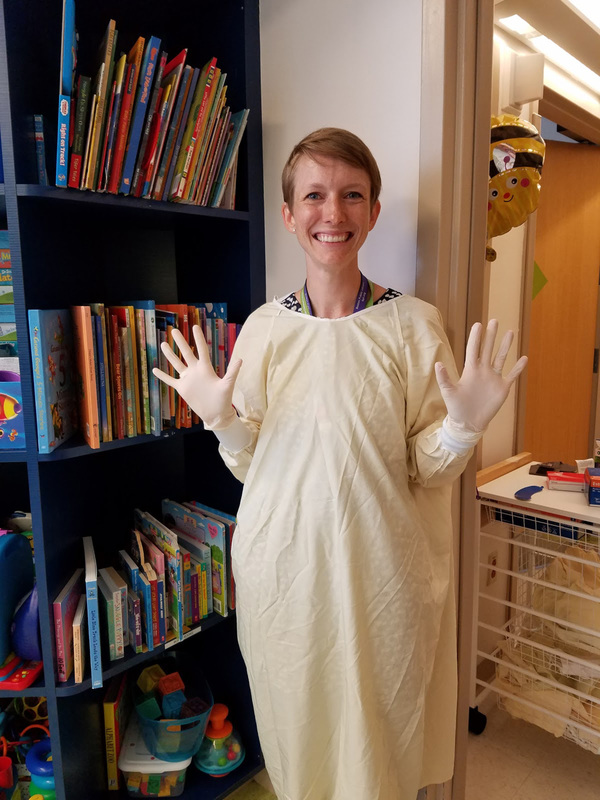 If your library is looking for a high-impact and rewarding youth outreach partner in your community, I highly suggest partnering with a hospital to do outreach to hospitalized children. Hospitalized children and their families are among the most isolated people you can serve. Their sense of normalcy has been completely disrupted, and they often don’t have the ability to leave the hospital to visit a library for storytime or to get books. In 2013, I started a partnership between Boston Public Library and Boston Children’s Hospital. It started out as one monthly storytime on one unit, and it grew to several units and even a few other hospitals around the city. It took some time and effort to set up, as all good partnerships do, but it was well worth the effort. If you have this same need in your community and want to provide your services, the following information will help you know what to expect and how to get your partnership off to a strong start. First, find a hospital in your area that serves children. If you’re not sure where to start, the Children’s Hospital Association Directory is a good resource, or you can simply visit local hospitals’ websites and look for a pediatrics department. 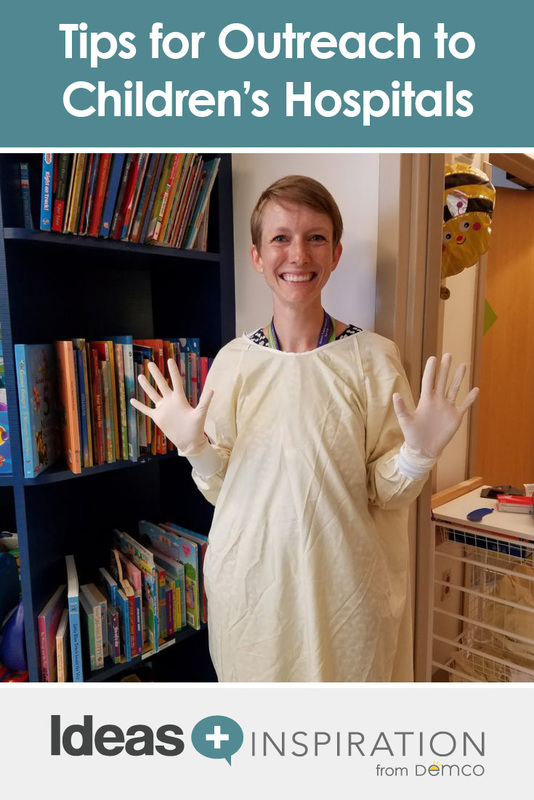 Child Life Department: Child Life specialists are hospital employees whose job it is to attend to the non-medical aspects of a child’s stay, such as entertainment, family housing, and connecting to other hospital and community resources. All hospitals serving children should have at least one specialist, and in my experience, their professional mission is well aligned with that of youth librarians. Volunteer Services Department: This was the department I started with at Children’s Hospital. If you aren’t having success going through Child Life, the volunteer department is always accepting calls from people who want to help in the hospital. Social workers, family services, or the hospital librarian: I have worked with all of these people in hospitals. They can help you get your foot in the door or connect you with the right person or department for that hospital. Get a feel for the people who work there and make sure your goals are aligned. If you are really lucky, you’ll find your partnership champion — a staff person who is as excited about the partnership as you are — right off the bat. Check out the space. Will it work for the ideas you have planned on your outreach visits? Share ideas for visits and programs and listen to feedback from hospital staff. Find out the answers to some essential questions: What range of ages does the unit serve? Does the unit do any other programming? Ask what the hospital needs and be flexible with your ideas. Ask about any necessary training, paperwork, immunizations, etc. In order to work with patients, you’ll almost certainly have to turn in paperwork on your immunizations or get blood drawn to test for immunizations. Flu shots may be required in the winter. If things sound promising, go ahead and set a date for the first visit and establish how frequently you will come. I recommend once a month to start until you know the partnership is a good fit. Everything up to this point is easier said than done. 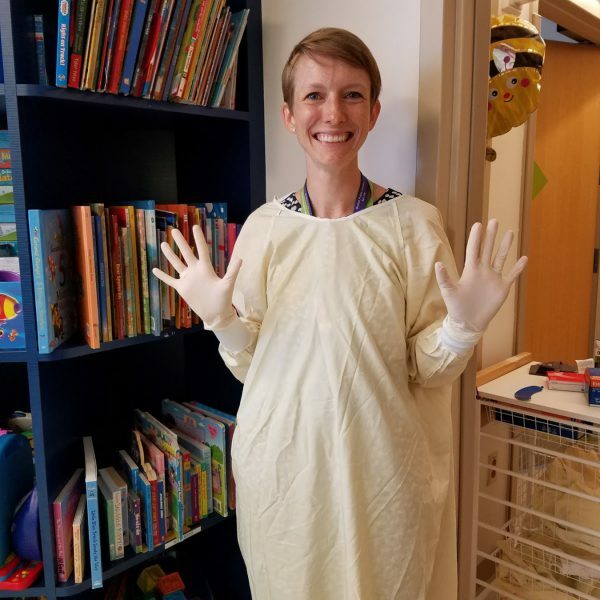 When I started with Boston Children’s Hospital, it took about two months of training, paperwork, and planning with hospital staff to get everything set so I could actually start working with families on inpatient units. Other hospitals never returned my calls. Don’t get discouraged, but also don’t be a pest. But once you are in, you will be ready to start the important work with families in the hospital. Props: To keep vulnerable children’s immune systems safe, only bring in props that can be disinfected. Do not bring plush toys or puppets, soft surfaces such as scarves or flannel boards, anything porous, or anything that will have to be passed or touched by more than one child. Movement: Depending on the setting, some children may have limited mobility. I once had a child lying down on a gurney in one of my storytimes. When planning your songs, rhymes, etc., remember that not everyone can march around the room or touch their toes. Keep any movement component simple, done with hands only, and be ready to adapt when hands are not an option. Body normative songs and books: Avoid books and songs that assume everyone’s bodies are the same, such as Ten Little Fingers, Ten Little Toes or “Head, Shoulders, Knees, and Toes.” You may be working with children who don’t have ten fingers or whose ears or nose are either bandaged or not fully developed. Songs or books that allude to death: I saw some really sick kids and some very distraught parents. Songs like “You are My Sunshine” or “Rockabye Baby” that allude to death or harm could cause undue distress to parents for whom it’s a real possibility that their child could pass. Hospital outreach visits were some of the most involved in terms of time, emotions, and planning that I did as an outreach librarian, but they were also among the most rewarding. I hope you will consider reaching out to your local children’s hospital or pediatric unit and start supporting these families in your community. By following these tips and being thoughtful about your choices, you’ll be a hospital outreach pro from day one. Amanda is the former Youth Outreach Librarian at the Boston Public Library, for which she visited hospitals, schools, juvenile detention centers, farmers markets and more. Currently, Amanda is the Supervisor of Youth Services at the Newton Free Library (MA) and serves on the ALSC Building Partnerships Committee.